Samsung tablets gain popularity by the day. The downside is that they also gain popularity with thieves and shoplifters. This means that theft prevention measures need to be up to speed. 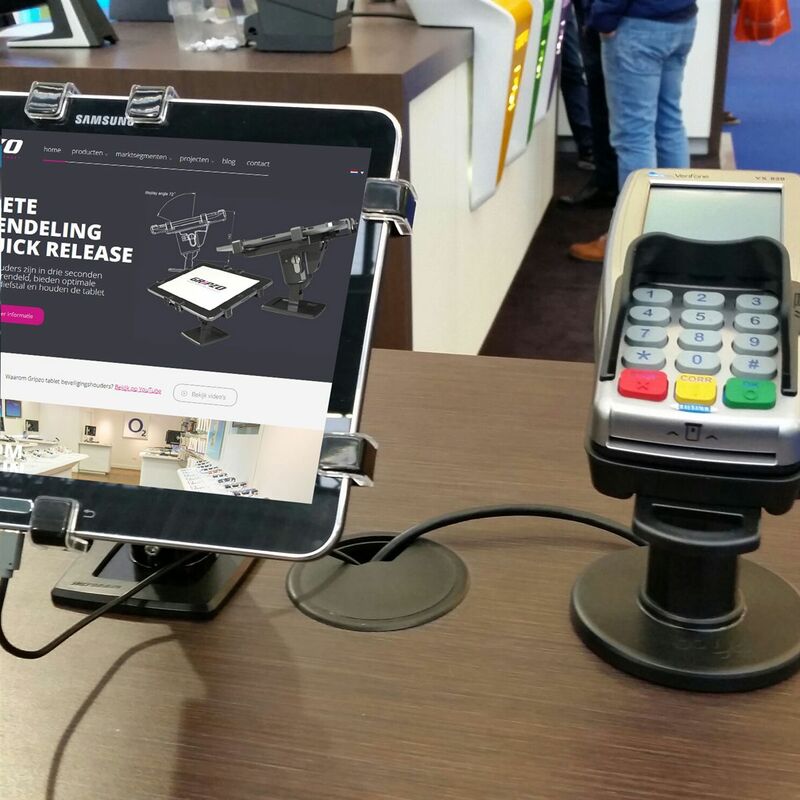 Prevention of tablet theft can be best achieved by deploying the new Tablet mounts from Gripzo. Mechanical prevention against tablet theft is often the best answer against theft, it’s simple to operate and very efficient. "Cut and run" is no longer an option with Gripzo tablet security grips. 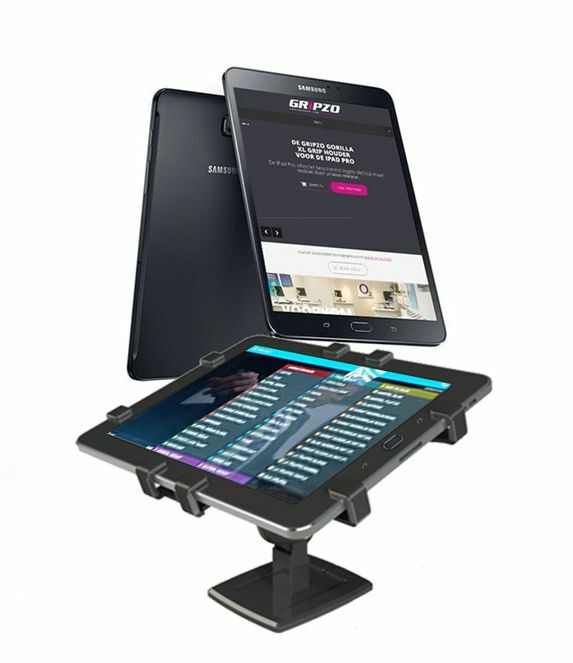 Gripzo’s unique proposition is a total lock down of the tablet when needed. Quick release is offered by means of a security key. Gripzo does not use cables or sensors, the security fixture is equipped with forged steel claws which makes cut and run not possible! Gripzo keeps electronic mobile devices such as tablets 100% safe and mobile! Special features of the Gripzo Gorilla Grip for the Samsung Galaxy Tab.